Halloween is about having fun, but in a scary way. 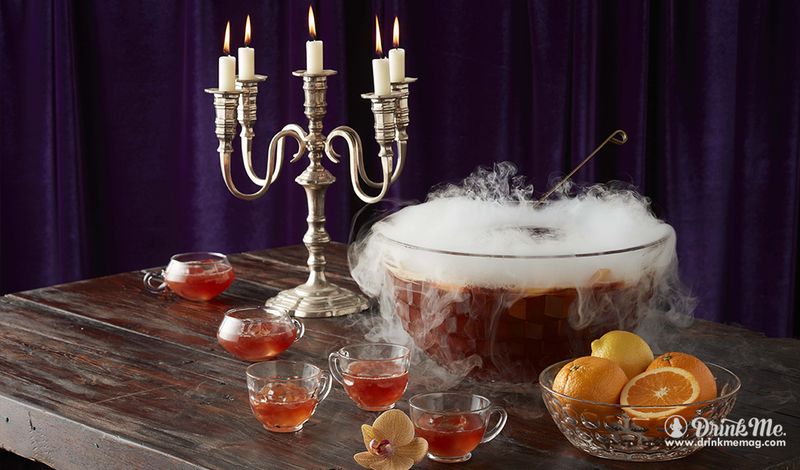 We championed that inspiration by asking mixologists to create the creepiest cocktails their twisted little minds could conjure up. We knew our fiendish friends wouldn’t disappoint. 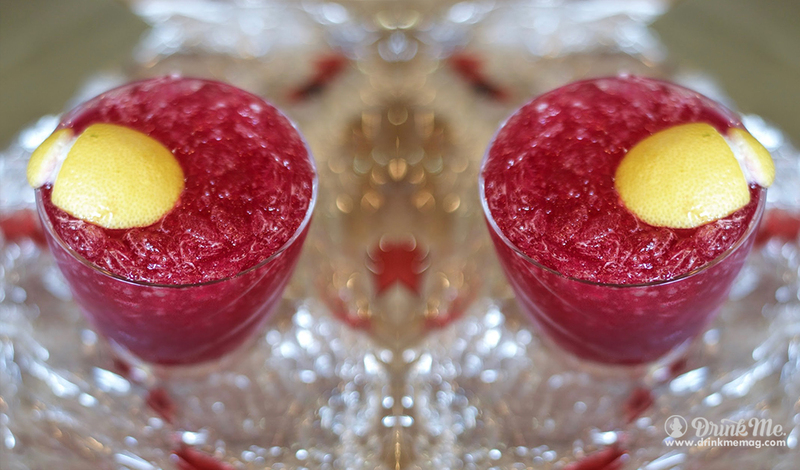 Here are the top 13 weirdest and best tasting cocktails our mixology monsters crafted just for you. Mikey Kilbourne, of the One Eared Stag in Atlanta, Georgia has two cocktail concoctions on our list. The first is the brilliantly named, Leatherface. Not only will it make heads turn when you shout it across a bar, but it absolutely embraces the overall aesthetic of the cocktail. Aromatic, fresh and perfectly balanced with the addition of Aperol and bitters, this thirst-quencher is as easy to drink as it is to make. Shake and strain into a Collins glass. Garnish with lemon peel. Mikey Kilbourne knows how to name ‘em. His second contribution to our list is the Jeffrey Dahmer. Unlike its grotesque serial killer’s namesake, this cocktail pleasantly surprises. The white rum is not absent of aromatic flavors at all, and its unaged lightness allows the citrusy, sweet Solbeso to shine through, providing a solid base for the addition of bitters and cinnamon tincture. Shake and pour into a rocks glass. Garnish with lime peel. Ectoplasmic green, this is a gin-based cocktail which first appeared in print in 1937 in Cafe Royal Cocktail Book but, mysteriously, was never seen again. 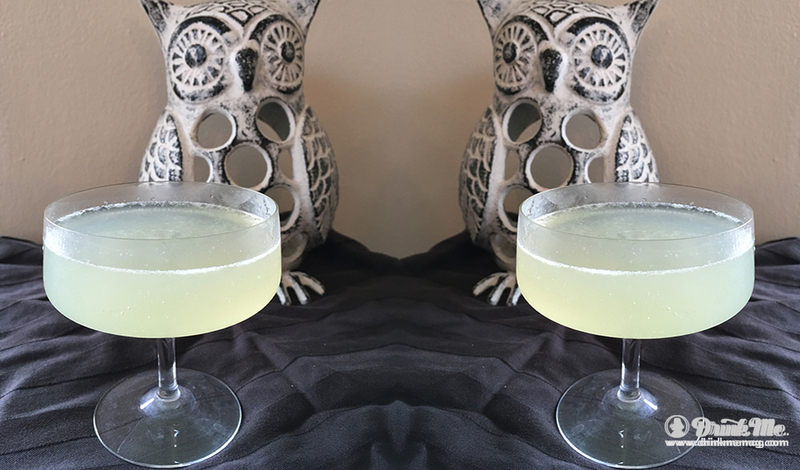 That is, until 80 years later when Diana Pittet from Night Owl Hospitality in Asbury Park, New Jersey awakened it from its resting state for our Top 13 Creepy Cocktails list. Diana deemed the original recipe which is: 2oz Gin; 0.5 oz Green Chartreuse; and, 0.5 oz fresh lime juice, horrifyingly overly herbal. She opted to increase the Chartreuse levels as well as adding simple syrup to round out the flavor. The result is cool and crisp, like an autumnal evening. Shake all ingredients over ice until well-chilled. Strain into a chilled cocktail glass and, Boo! Thanks to Gina Ruccione of Stage + Table in Santa Monica, California for this Halloween treat. Warm orange, tart hibiscus and soothing clove from Muddle & Wilde’s mixer, blends naturally with the honey, vanilla and toffee notes found in Buffalo Trace Bourbon. We like this mixer and bourbon partnership as neither one drowns out the other. Instead the two build layers all the way up to a long and lush Buffalo Trace finish. Pour bourbon into a glass and mix in 1/4 of a charcoal capsule. Add a large ice cube and pour over 1 tbsp of mixer. Garnish with an orange slice sprinkled with charcoal. No Halloween list of any kind would be complete without the use of a pumpkin. Thank you for keeping us honest Mia Mastroianni. Mia is a mixology expert on Spike TV’s Bar Rescue and head bartender at Soho House West Hollywood. Her themed Negroni unites hazelnut with the yummy bitter, orange-rind taste of Campari, and the crisp citrus edge for which Bulldog London Dry Gin is well-known. Combine all ingredients and dry shake. 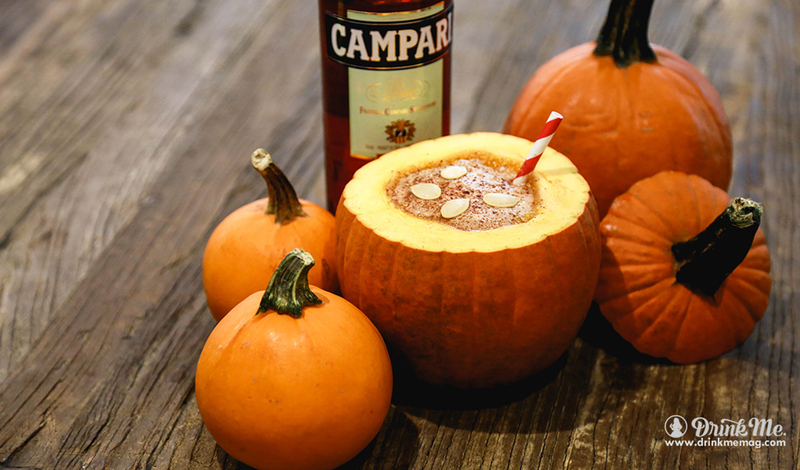 Re-shake with ice and strain into a small pumpkin (or Coupe). Garnish with a light dusting of cinnamon and pumpkin seeds. 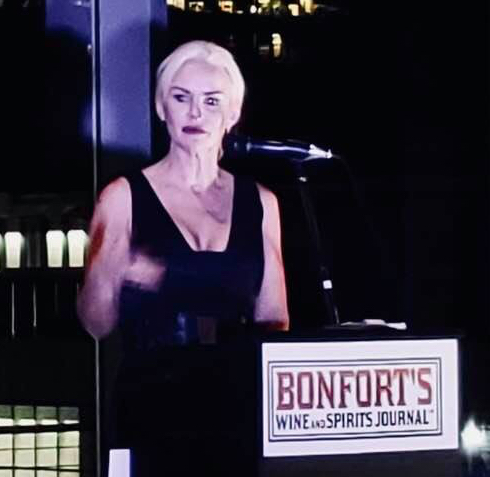 Willy Shine, of New York-based, Willy Shine Consulting has been on a mission for years to help us all “drink our best”. Halloween is no exception to the rule and with that in mind, behold the Darke Daquiri. The appearance is dark and threatening, but the flavor profile is bold and sweet with lots of herbaceous Jagermeister aromas. Shake and strain into a 5 or 7 oz Coupe glass. Garnish with orange oil and peel. NB: To achieve the skull stencil method pictured here, use edible ink and airbrush with green and gold. Use edible gold flakes in the eyes. 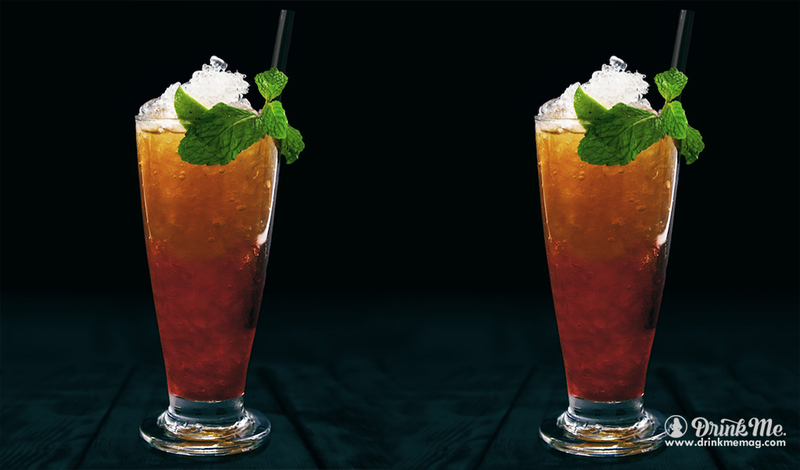 Another immoral masterpiece by Willy Shine, the Wicked Black Forest Punch is a recipe worth saving somewhere on your desktop – it’s easy to make, scrumptious to drink and serves an entire coven. 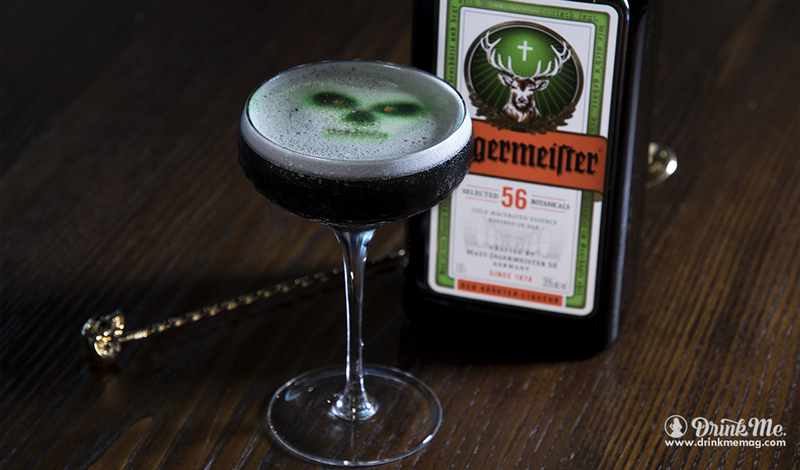 Lime zest, ginger root and cloves, as well as other spices, come flowing through from Velvet Falerum, combining naturally with the Black Forest cherries delivered by Kirschwasser Liqueur and the sweet, herbaceous silhouette of Jagermeister. This serves 15 people. Combine all the ingredients into a gallon container, except the ginger beer, and refrigerate. When it’s time to serve, pour into a punch bowl with a big ice cube, garnish with orange wheels, lemon wheels and hibiscus flowers. Add a couple of chips of food-grade dry ice. Developed by Jeremy Oertel at Brooklyn-based bar, Donna, this is our most chilling mixture on the list. Lots of fruit including crisp apple, lime and blackcurrant. This cocktail makes excellent use of Appleton Estate Classic White Rum which is one of our favorite white spirits for mixing in cocktails. Add white rum, lime juice and ginger syrup to shaker. Strain into Collins glass with ice. 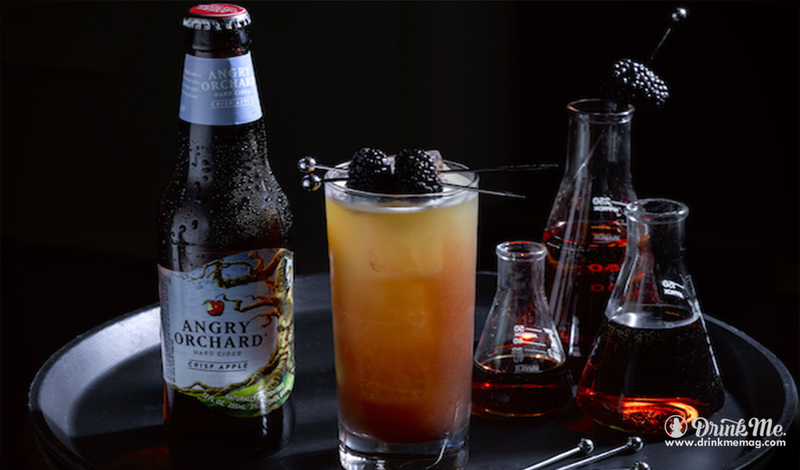 Top with Angry Orchard Crisp Apple and Crème de Cassis. Garnish with lime wheel and blackberries. Peel the ginger and then chop finely. Add all ingredients to the pot and bring to boil. Allow to cook for 2 minutes then remove from heat and let steep for 20 minutes. Strain syrup through a fine strainer. Keep refrigerated. 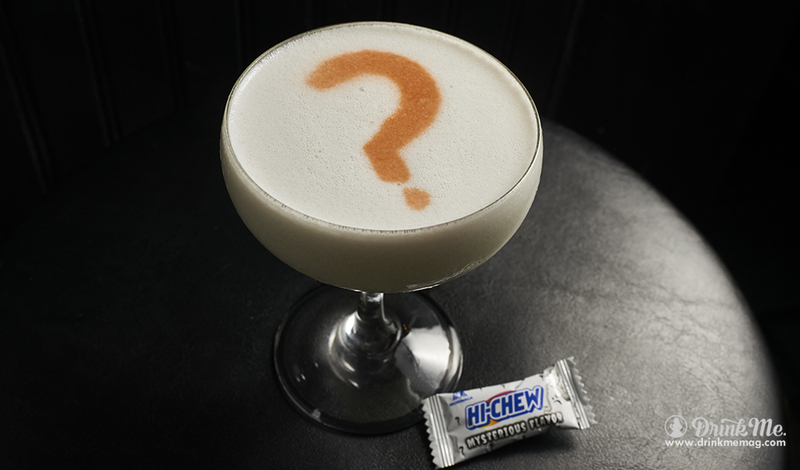 Developed by Allison Kave of Butter & Scotch, Brooklyn, New York, this truly puzzling cocktail is mezcal-based, infused with HI-CHEW candy’s enigmatic flavor, and represents the ultimate mystery to solve this season: is this potion too petrifying or should you mix it up and give it a try? Not as sweet as you might think – instead it’s quite balanced with the other ingredients and the egg white keeps its texture creamy and light. Take a stab at it. Measure the mezcal, coconut milk, lime, simple syrup, and egg white into a cocktail shaker. Shake vigorously without ice for about 10 seconds, then fill with ice and shake for another 30 seconds, until very frothy. 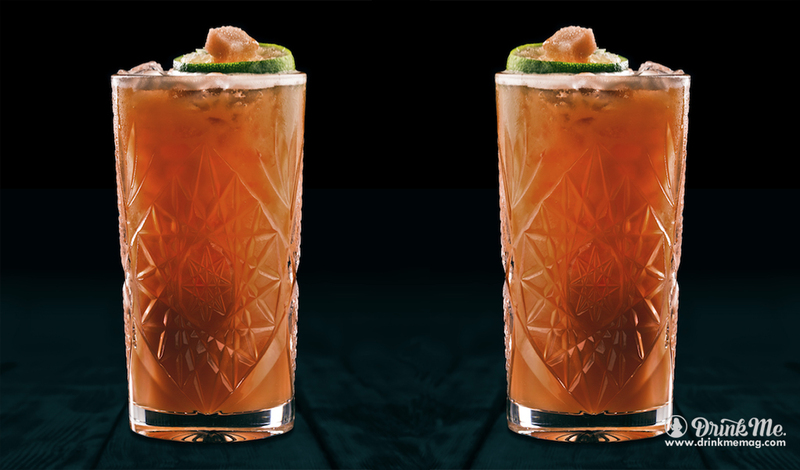 Double strain into a chilled coupe, garnish with Angostura Bitters sprayed through a stencil of either a question mark or ghost. The infusion ratio is one piece of candy per ounce of liquor. Soak the candy until dissolved. Ryan Jones is the official Haunt Mixologist at The St. Anthony Hotel in San Antonio, Texas. He was inspired by the eerie murder-suicide of Walter Emerick who, in 1965, in a heated argument at the Gunter Hotel, killed his girlfriend, minced her body up using a portable meat grinder (guess that shows intent), and then later checked into The St. Anthony to end his own life on same night in Room 536. Some say he roams the hotel’s corridors, and if that’s true we’re grateful that he haunted Ryan Jones into creating this clean, fragrant whiskey cocktail. Pour whiskey into a mixing glass, adding simple syrup, 3 dashes of orange bitters, top with ice and stir for 15 seconds, and set aside. Pour Amarena cherry syrup into a rocks glass and coat the bottom of the glass. Pour in the prepared mixture, and top with ice. Spray with rose water. 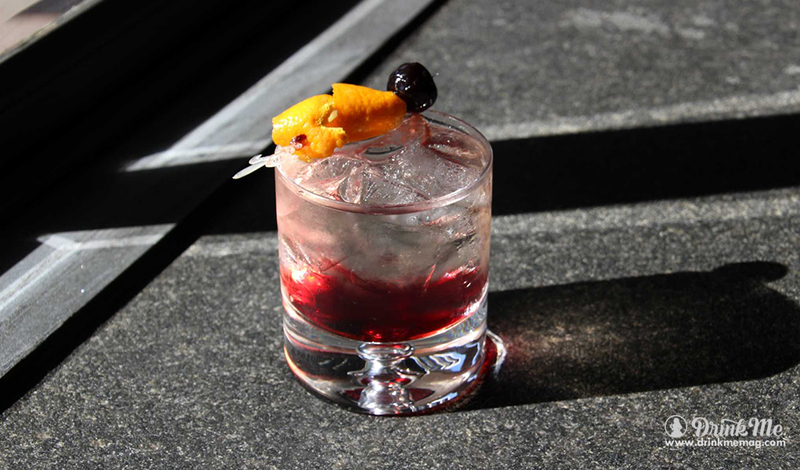 Pour stirred drink on top of ice and garnish with Amarena cherry. Marcos Tello is responsible for developing classically inspired cocktail programs at renowned Los Angeles-bars like Seven Grand Whiskey Bar, Malo Restaurant in Silverlake, The Edison and 1886. He’s made two popular potions for our list, the first being the Dark Rabbit. 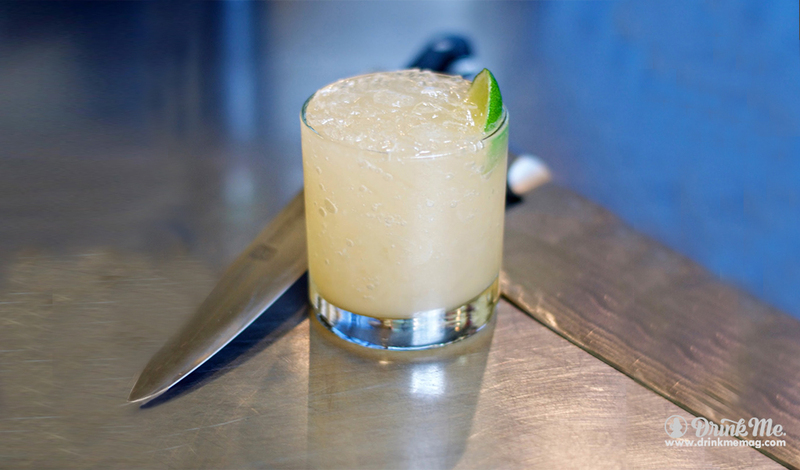 Marcos uses one of our favorite mezcals, El Silencio Espadin which is as good for sipping as it is for mixing. Combine celery with carrot and lime juice, and agave nectar. Whip and dump. Pilsner glass (crushed ice). Lime wheel with black lava salt. Marcos Tello is deathly serious about his craft. 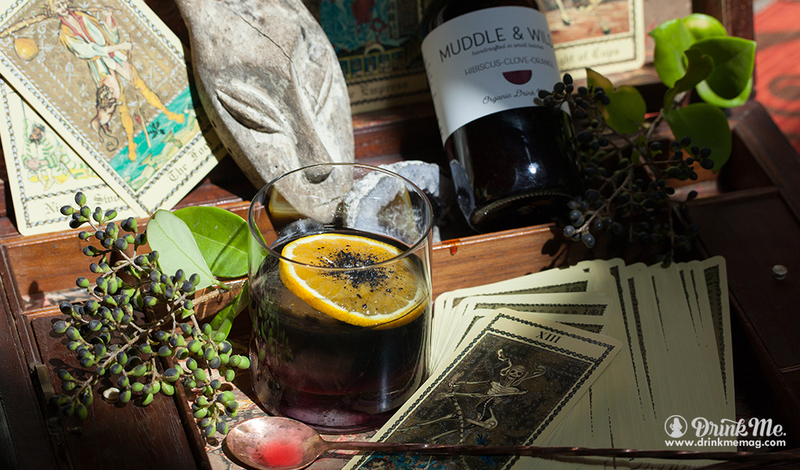 Inside the Zapotec Zombie is the burning molasses flavor of Dos Maderos 5×5 Rum. The inclusion of Hamilton 151 Rum, demerara, pineapple juice and passion fruit syrup make the Zapotec Zombie not just a cool name, but a tropical, sweet wonder. Whip and dump. Pineapple leaves and nutmeg. Serve in a Pilsner glass. Daniel Jones of St. Felix in West Hollywood, Los Angeles must know his creepy cocktails as he works in one of L.A.’s hottest Halloween haunts. 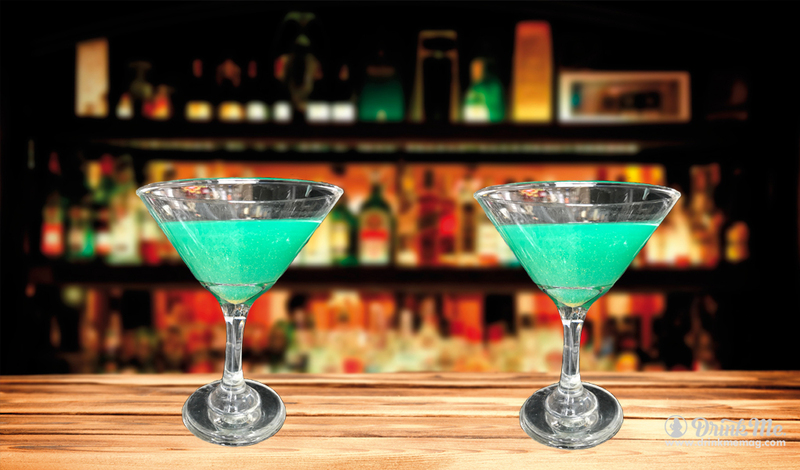 Enchanted Ooze is an edible glitter slime martini made with muddled pear and house-made green simple syrup. The outcome is a light, clean, fruit forward drink, far less ominous than its disturbing title. Muddle fresh pear (2 slices). Add egg white, melon liqueur, green simple syrup and pear infused vodka. Shake hard with ice and pour into a martini glass. Pinch of glitter and two sprays of Absinthe. Previous post Tru Garden Vodka: 94 Points.